RUSH: Kristy in Minneapolis, welcome to the EIB Network. How are you doing? CALLER: I’m doing great. How about you, Rush? RUSH: Fine and dandy. Glad you called. CALLER: Yes. I just wanted to say I’m a longtime listener, 25 years, and I have a Rush Baby in the car driving, and we’re just coming back from the Notre Dame graduation, and I just wanted to make a point that I haven’t heard on the media about the student walkout. There were about 75 kids that walked out. But when they walked out, no parents walked out. The parents that were in the stadium all booed the students, which was interesting, you know, I’m sure half of them didn’t vote for Trump but they did boo the students that were very loud. And they all stood to welcome Pence, which I thought was a great showing for Pence. RUSH: So Kristy, your daughter graduated Notre Dame and she’s a Rush Baby? Did I have that right? CALLER: No, she is not. My youngest is gonna be a sophomore at Notre Dame. CALLER: He’s a freshman his year. He’s the Rush Baby. CALLER: He’s the Rush Baby, yeah. RUSH: Okay, but a Rush Baby is, at present, at Notre Dame studying. CALLER: Yes. Yes. And he’s going to all the Republican — like when Ben Shapiro came there and Charles Murray. So he’s gone to see all those speakers, and he always credits you because he listened to you when he was tiny, when he was a baby. RUSH: Well, wow. That’s cool. I appreciate that. About the Notre Dame thing. Correct me if I’m wrong. You said you were there. There were about 3,083 is the number I read, almost 3,100 students, and you said 75 walked out, right? RUSH: They become the news story. Seventy-five walked out, turn their back and walk out, they were booed, were they not? CALLER: They absolutely were booed by all the parents. None of the parents walked out. RUSH: Right. 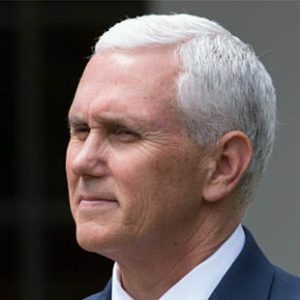 Now, the news has made it look like everybody was opposed to Pence and embarrassed Pence and shut Pence down and they were very much opposed to the rigid indoctrination that Pence was telling them in their commencement, none of it true! RUSH: Except there were some protests, but they were tiny, 75 people out of 3,083? Give me a break. CALLER: Right. And they walked out. They just walked out. They didn’t do anything. Of course, the Secret Service would have taken care of them really quickly, but they just turned and walked out. They didn’t even stop. It wasn’t like they turned their backs. They just walked out. RUSH: Kristy, I’m glad you called. Frankly, I think, if they could only come up with 75 people out of 3,100 and so forth, that’s not a success, folks, as far as the left is concerned. That’s a failure!